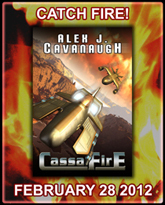 Alex J. Cavanaugh: How to do a Successful Blog Tour. And John Carter! And Prize Package Winner! That was an epic blog tour. You were EVERYWHERE! I don't blame you for being burned out. I haven't seen John Carter. Congrats to Jeremy...Not too unhappy at my loss, random.org wins never work for me. Maybe I'll get my own cup designed with the covers of all three books, with your consent obviously. I'll catch it in Dvd most probably since it's released in my small city with local dubbing. That tour was truly brilliant. It's intersting you think you spent too much time visiting everyone. Ten hours in one day is epic. I'm so looking forward to seeing JOhn Carter. I love the Golden Age of science fiction and every other golden age. I like the innocent adventure stories. I don't need edgy or dark. So happy that you are now revved and ready to dive into book 3. What a great blog tour! Hope you do another soon! That was an awesome party and tour. You know how to do things with style. I'll have to see John Carter. I can imagine how beat you must be. However, it certainly did get the word out! :-) Congrats to Jeremy for winning the swag. I'm not much for sci-fi, but since John Carter is partly/mostly shirtless during the film...well, why not. You rocked that blog tour! Glad to hear you're working on a third book. I didn't read your review of John Carter because I never read reviews of movies I know I'm going to see! In preparation, I'll be reading Princess of Mars, the first in the Burroughs series. I've read a couple of Barsoom novels but not the first. Right after that I'll start on your book! That's a lot of blog visiting. You need a vacation now! Congrats on surviving. You were everywhere. John Carter sounds great. Wonderful that you found inspiration in it. I kind of enjoyed seeing your book everywhere, it was exciting! I was very happy to be a part of it - but you deserve a very long rest now lol! I saw John Carter the other night and the cinema booked out so fast they had to put on several extra screenings. I didn't actually expect much from it - but WOW! A western, gladiator science-fiction with elements of fantasy. Amazing story telling. I am burning to read the stories now and I fully expect another John Carter movie, it's the most amazing thing I've seen since the original Star Wars. Congrats on the blog tour, you really did pop up everywhere! Theresa, it was really amazing. Rek, I need to ask my publisher about more mugs, as several people seem to want them. Thanks, Lynda. It was almost too much for me so feel it would burn out anyone else. Charmaine, that's how I felt! Thought it was just epic. Thanks for sharing about your blog tour. Ten hours is a lot of time checking blogs. I'm sure you were burnt out but you're such a great blogger friend that I could see you doing that. No wonder you are worn out. I couldn't have kept up with all the relplies. So you're doing CassaStorm good luck with all that goes with writing a book. Congrats to Jeremy the winner of your comp. Well done. Have an easy day if that's possible. 10 hours is huge! But you did a great job with your tour. Congrats again on your release. Looking forward to watching "John Carter." Thanks for the review! Congrats to Jeremy. And congrats to you for a tour well done! I definitely want to see John Carter. I'm watching John Carter tomorrow, and I can't wait! :) It received mixed reviews from the critics, but they often get it wrong so, it's not a big deal. I trust your review completely and I'm sure I won't be disappointed. And finally, check out my review of Dark Tide, the latest shark flick, starring Halle Berry. It kinda sucked. LOL. We saw it on opening day for my brother's birthday celebration. We both read the books in our youth, so we were really looking forward to it. Overall, not disappointed! I thought it was a good, fun movie. And talk about your high concept--anyone who struggles with what that means should take a look at A Princess of Mars. Talk about an elevator pitch! I wasn't crazy about Taylor Kitsch's acting and voice, but he physically played the role well. And Woola! Who couldn't love Woola? Natalie, I was trying so hard to stay caught up! Yvonne, ready to dive back into the next book. George, kinda sucked? I think you'll dig John Carter. Reviewers were way to harsh on the film. Hey Summer! Glad you saw it. Wish it had done better because I'd gladly see another John Carter film. ...but, Alex, did you not get my bribe for that wonderful prize package?? Congrats to the winner and congratulations on a third book in the making. Your blog tour was so well organized! You were popping up on my screen on most blogs! Alex, sounds like you're inspired to write another book. Go get'em! Thank you for the deets on John Carter. I've been wanting to go see it!! I liked your blog tour because it seemed to me you worked hard to have something different prepared for each stop. I like to support tours, but sometimes they can get a bit repetitive! As for the first day, that might nor work for everyone but you have so many friends who wanted to help, it was a brilliant way of getting us all involved. Well done. I've been on the fence about John Carter, but I'll probably end up watching it on DVD. And oh my! I've seen a clip of Princess of Mars in action and boy, she's HOT!!! Yikes! glad you enjoyed John Carter. I'm stoked as well. Love that high adventure stuff. I will definitely catch JOHN CARTER but just wanted to wait till the crowds die down. I love seeing movies like that on the big screen. Congrats on your blog tour! You were everywhere!! Congrats on such a great blog tour and book launch. You survived! I'm kind of interested in seeing John Carter, though I really had never heard of it before the movie came out. Surprised it was written by ERB. Great Tour, Congrats to Jeremy (he is awesome) and yes you have to do a third book now.....Fast, with your ninja booster super drive..LOL, maybe you should rest a bit first :)Hmmm....John Carter---will check. I'm glad you're around to review these movies since John Carter was on my radar. Sorry to inform you of this Alex but I think you misspelled Geeky Tendencies. I can forgive you though because a lot of people accidently spell Retro Zombie. :) Of course I just kid! Congrats on your blog tour and to Jeremy! Congrats to Jeremy! Your blog tour was epic fun, I don't know how many people I visited, but I had a great time. John Carter was awesome! I'm writing a review for 411 to be posted soon. Of course, I preferred seeing Taylor in his little outfit, LOL. Didn't get a chance to see John Carter, and probably won't until DVD. Just too busy. Good to hear that it's a fun movie though! so i am reading your post as i try to do when you post... always looking for something i can relate to, something i can make my thought to respond in my sort of way. as for today i am reading... then reading again and finally for a third time saying "that's my name". looking to make sure i am not skipping some part as if i were skimming. i am so HAPPY... i cannot believe it, so many cool people and me the dork gets picked. alex, thank you... i cannot tell you how great this is and how i am looking forward to the stuff. ps. i forgot what else you might be covering today... though in my defense i did your post several times. Gail, did you send Hot Tamales??? Marta, thanks, and I'm going to get 'em. Sarah, glad my tour kept you entertained! Jemi, that is so good to hear. Charles, it was better than I expected. Liz, it needs the big screen. LG, they manage to slip him into the movie as well - you'll see. Jeremy, that made me laugh!!! Melissa, there was skin enough for both of us! Glad you liked the movie. Not sure what film the hating critics saw. Your blog tour was amazing! You seriously do have ninja time management skills. Are you sick of hearing that yet? ha! Enthusiasm is catchy and it is so fun reading how stoked your are after the movie! That is awesome. Have a great day! P.S. I am mad about the coffee mug. I haven't seen John Carter yet, but really want to. I have been seeing your name EVERYWHERE in blog comments over the past week. You sure do get around! Congratulations, Jeremy, on winning the mega prize package! I'm glad to hear John Carter worked out, because the internet seemed pretty worried it wouldn't. I do believe The Princess of Mars was the very first SciFi book I ever read, way back when I was like 13 or 14. I loved Burroughs' stories. I'm going to have to watch the movie now. Congratulations on a most successful blog tour! Glad it all went well and congrats to your winner. Thanks also for sharing the hi's and low's it's food for thought. I liked John Carter too. Tons of fun. There is a vibe I get from your books that makes me understand the 'golden age' comparisons too. 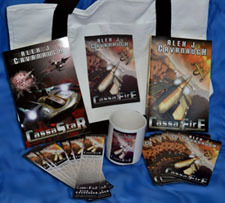 I believe your Cassa books invoke the best of that era's sci fi tales. Alex, you amazed me. I am so sure I could never do what you did, but I guess, never say never? You work hard for your success. Glad you're choosing time with your wife over the conference, because you're right, there's always next year and you'll have more time to prepare. Alex, it was an incredible tour. You really were everywhere and I sure hope your book sales reflect that. No one deserves this success more than you. You are just about the nicest blogger there is. So glad to hear you've found a source of inspiration. It's so nice when you discover your voice, isn't it? I didn't know you had plans for a third book. Cool! Blog tour sound exhausting but nice too. I still don't know how you keep up. I'm happy to hear John Carter was good. I was hoping that would be true. Thanks for the tips on the blog tour. I'm going to see how well I pan out on this in the next two weeks. It'll be an interesting experience, to say the least. You are a freakin' rockstar! I know you visited my blog that day too and I wasn't even on one of your stops. I think you have a mini-me or two who help you get to so many blogs in one day. I think you should write a character that's totally you. Because how in the heck??? Tracy, maybe I need to do a Ninja Time Management course? Sorry about the mug. Budd, leave it up as long as you like! Matthew, it's still going to fail, which is a big shame. Thank you, Rusty. Don't know why it's taken me so long to make the connection. Sarah, yes, and it took long enough. Jeffrey, be prepared to devote a lot of time to it. Yes, go see John Carter, thanks for the recommendation, Greetings. I don't know how you do it, Alex, visiting so many blogs, day after day. But it was heart warming to see all the support you had. You were everywhere! The fact that so many writers & bloggers support you is testament to the wonderful person you are. You go, boy! All hail, Ninja Captain Alex!! Oh, and I am definitely hungering for CassaStorm, by the way. That blog tour of yours was RIDICULOUS. You were literally everywhere!! Glad you had a good time :) Congrats to the winner of that great book package! I've learned a lot about blog tours thanks to following yours for the last couple of weeks. It's an inspiration and something for me to keep in mind when the time comes for my books to enter the scene. Thank you for all that you do, Alex! I need to see John Carter. Must See It. If anyone deserves a blogging break it would be you! Congrats on the amazing and successful tour. I haven't seen John Carter yet, but I would like to. It looks great. And I don't blame you for being a bit burned out from the tour. It was epic. I thought your tour went very well! Congrtas to Jeremy!!!! Your party was the best. I think you sold a couple of million books at least. Don't know if we have reached a thousand for the A-Z but I have a blog post about it. Are you getting some rest now that your tour is over? Congrats to Jeremy. I really want to see John Carter and with your glowing review I'm going to have to go. Congratulations, Jeremy. What a prize! Alex, I don't know how you found the time and energy, but you did it. Well done to you. Now get writing the third book! Jeremy, sorry I missed your comment! We must've crossed in the comment time stream. Yes, you are the BIG winner! Cassie, I'm just a rock-star Ninja! David, may yours be even better. Birgit, the book's title is Princess of Mars if that helps. Anna, no it's all me. Debra, we did, and that's wonderful. I really want to see John Carter, but we're so busy lately, I don't know if I'll actually be able to make it to the theater. Now I want to see John Carter. I miss that sort of Golden Age innocence, as you describe it. CassaStar is classic like that. Your blog tour was amazing! Thanks for showing us how it's done! I want to see John Carter. I didn't at first, but I'm in the mood for a real adventure, and this sounds like it fits. You had an awesome blog tour! I'll wait to see John Carter when it comes out on DVD. I doubt I'll being seeing many movies in the theaters this year - although I definitely will see The Hobbit in theaters! You did a fantastic job, Alex. I stand in awe. I am a bit upset about missing out on the coffee cup, but I'll recover. Enjoy your break. Congrats to Jeremy! (I'm a bit jealous, but glad you won). That blog tour really was AWESOME. So glad you survived, Alex. I've been wanting to see John Carter but I just haven't had the time. sigh. Ellie, I don't know how I found the time either. Christine, thank you for saying that! Thanks, Jennifer. And the movie is pure adventure. Nicole, you do have an excuse. I think all men can agree that voluptuous alien women with seductive purple eyes, wielding swords...yet...somehow still needing to be saved by "THE MAN" will always net a large male audience. Congrats to you and congrats to the winner!!!!!!!! Chuck is da man! Love his graphs!!!!!! I'm off to see it. Alex-- I'm with you. I really enjoyed John Carter. I don't know why it's getting such bad reviews. I'm also surprised it's considered a flop b/c it made $30 million. It's only the first weekend. I wish people would give it a chance. They've bought the rights to the first three Carter books, but box office doesn't look so good. Big gamble. I'm thrilled for you that you found a connection to your voice and style. If anyone deserves a day off, it's you. Enjoy! Well done Alex! I enjoyed coming along for the ride, it was great! I am on the last thousand words of Cassa Star, still enjoying it - it has taken me so long to read because I have been spending most evenings reading Campaign entries! Once again, congratulations for the great tour for Cassa Fire! yay for winner, yay for you and yay for third book! Congratulations Jeremy! I think a lot of people would like to change with you. The cup is much sought-after. Thank you and all the blogs which took part for an awesome and most entertaining blog tour!!! And a big thank you to all the people who made so alive and impressive with their comments. I would like to share some thoughts regarding the blog tour. Alex - blog stop - Alex - blog stop - and so on. Then the blog host should answer all comments and not you. And you can comment in common on the next day on your blog; maybe you can pick up one or two very special comments and talk about them. Of course the blog party was absolutely awesome. But to visit more than 250 blogs is far too exhausting. Of course there should be a blog party next time but different compared to the last one. The central meeting point is your blog like the the playing field in a stadium. All participating blogs (posting the banner) act as the hotdog, drinks and ice seller in the stadium. Every blog "sells" a specific item (drink, food, sun glasses or whatever). Then reader visit your blog. They get the information that they can get party stuff over at other blogs. You need a menu at your blog showing which blog "offers" what. Each blog has a counter for his specific item (which is a counter of their blog). So people go there read the post, click the counter and return to the party on your blog where they tell what they read and got. This is a rough description. In case you like we can discuss in detail. Please keep the uniqueness of the posts. Anyway I wish to be part of your next blog tour. Thank you for the John Carter review. When everything goes well my wife and I will watch the movie next week. Finally thank you for a great, great time. Take a well deserved rest. Dude. We saw John Carter in IMAX 3D on Friday night. First of all ~ we have got to splurge and see more movies in IMAX! Totally worth it. Wow. I was sort of disappointed by JC. But then again, I'm a HUGE fan of the book which never really bodes well for movie adaptations. I felt some little gems were left unexplored in the movie (Sola's brands, John's return) which is not unexpected, given time limitations, but still. I DID really enjoy it though. Just fell short of super awesome epicness for me. And great info you shared on your blog tour. Thanks! Yes, your blog tour was awesome and generated so much response! I can see how it was overwhelming- I would NOT have been able to visit 250 blogs in one day! I'm honored you visited mine! I have not seen John Carter yet- we'll probably wait for it to come out on DVD. Enjoy your break. Wow, 250 posts? That's amazing! I am really looking forward to seeing John Carter. I'm glad it was awesome. Jesse, he IS the man! CM, glad you are enjoying it. Edi, I like that idea!!! And I'd be honored to have you part of the next tour. Ali, it's been so long since I read the book, which probably helped. Thanks everyone - I really appreciate the support. Loved John Carter! The fact that the author is Edgar Rice Burroughs gave me more desire to see it. Imagine writing such a sci-fi in that era! I so enjoyed the tour - and congrats Jeremy! Susan, I know! he was just amazing. Ciara, that's a good idea, as I'm one of those didn't-read-the-book people. Congratulations on completing the blog tour. Hope it brings you thousands of sales. I don't think I will watch John Carter. He's not that handsome. But I'm planning to watch Margin Call. Young Spock is in there. You really deserved all the success of your big honkin' blog tour. Congratulations! And yes, I wanna see John Carter. It looks like fun, old fashioned storytelling fun. Well done on the awesome blog tour... wow 10 hours... that's amazing. Hopefully going to see John Carter soon... though Hunger Games comes out next week... that's on my to see list. I think you must have gotten your hands on Hermione's Time-Turner because I have no idea how you do everything you do! And thanks for you kind comments about my doggie A to Z video! Congrats on such an amazing blog tour! You truly do rock, Alex. Hope you get to recharge a bit before you take on CassaStorm. So excited about this news! Glad you are fired up to write another book for this series. And also congratulations for your blog tour! I'm surprised you didn't take a mini vaca. You must be exhausted! And yes, dammit, I am very disappointed I didn't win that coffee cup! Helena, it is! Go enjoy. Jocelyn, I think you and your doggie video will win! And go see John Carter. The critics don't know what the heck they are talking about. RaveAir, you will dig them then! Theresa is right: you were everywhere, Alex. You have every right to feel drained. I hope the word of mouth gives JOHN CARTER a 2nd wind at the box office!! CONGRATS Alex! Great blog tour. Two weeks is enough on the tour I think. I did four and it wiped me out. Glad you survived the blog tour. They can be exhausting, but fun. Congratulations on an extremely successful blog tour. Hope sales of CassaFire are going well. I've heard nothing but bad to lackluster reviews of John Carter. You've somewhat revived my interest, although the trailers I've seen on TV haven't impressed me much. I love the story concept of the film. Lee, if you like the Golden Age style of science fiction, you'll dig it. Ignore those reviews! Congrats to Jeremy for sweet swag win...and yes, I really DID want the coffee cup!! John Carter is on my agenda for Thursday this week and I am sure now I will not be disappointed. Alex, you put your heart and soul into everything you did from actually writing CassaFire to all the blog tour, blog visiting and guest posting. Take a little time to drink it all in...before the A-Z Challenge starts! You earned it. Yours is the second great review for John Carter. Now I must see it. Congrats to Jeremy for winning and you for a great blog tour. Well I'm glad you caught your breath long enough to take in a good movie, Alex. It was the most successful blog book tour I've ever seen. But I can understand spreading things out in the future. Most people don't purchase books until well after the initial release, right? I for one was holding out to find out if I won. Jeremy's a great zombie guy, though. Congrats, Jeremy! Oh wow that sounds exhausting. Congrats on an awesome tour though. seriously I do NOT know how you do it. I've been super busy with work the last week (not complaining on that part busy is always good) but it means my blog visiting time becomes even less than it already is. There's only about 4 blogs I actually am able to visit regularly. You truly amaze me but then you're cap'n ninja so I shouldn't be surprised! Now, finally, you can get some sleep! Epic was right. I did enjoy reading all posts Alex. Congrats to Jeremy on winning the prize. I sure can't wait to see John Carter. Glad it inspired you for another book. John Carter is on our list. We saw The Lorax and I liked it very much. And Congrats! to Jeremy on winning the package! Emjoy your time off. You deserve it! What an epic blog tour Alex. I am sure you must be exhausted. You deserve a rest. Alex, I am hoping and praying that we see a movie adaptation of your books. I have read the blurbs and honestly they sound wonderful. I will try and get a copy from Amazon. I bet you could do with a saurian brandy after all that awesome ninja storming. Robyn, I think a lot of people wait. And I've asked my publisher about the mug since so many wanted one. Dafeenah, thanks - I try! Rachna, I would love to see my books as movies! Well, I hope you sold lots of books! Congrats again. And I plan to do a book review so that will get your book cover out there again. 250! No wonder you had to take a day off of work. That's dedication. I think, you the man, Alex!! You're amazing with your blog followers. Keeping up with us all. You set an outstanding example!!! John Carter I've yet to see, but I will and report back! John Carter is in my Netflix queue already! So I probably won't see it until later this year, LoL. I'm glad your blog tour went so well, Alex!!! It was amazing seeing so much support for you and your book. 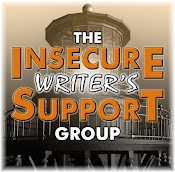 The blogosphere of writers and readers is truly an exceptional place! Awesome blog tour!!! We went to see John Carter on Friday . . . and I agree - it was awesome. My whole family enjoyed it, and the theatre was packed. Glad that it inspired your writing! Congrats to Jeremy! What an awesome win! I can totally understand how that blog tour could have worn you out. It was really exciting to see all the support you got - just goes to show what a loved and respected member of this blogging community you are! Cindy, that's why I'm the Ninja Captain! Maurice, I'd promised everyone who posted for me that day I would visit, so I was determined to follow through. Tyrean, we did our part to support the movie. Leigh, yes, you better get on that. That was one ambitious blog tour, Alex ... it made me tired. Looking forward to John Carter ... sounds like my kinda movie. Yes, a good wife deserves everything. Congratulations on a great tour, Alex. You deserve all the support you received (but yes, I am quite sad I didn't win that coffee mug). Yeah, I would have liked a mug, but I got your 2 books in the mail, and one of them is next in line from the TBR stack. That A-Z list is growing steadily. I've taken the advice of 'visit a few every day'. I don't want to get 'blog burnout'. . .
We plan to go see John Carter, as any science fiction buff should do. This original story from 1912 would have been received by a totally awed audience of the day. Congrats, Jeremy on the win! Isn't it great when you watch a movie that truly inspires your writing? Congrats on the find, Alex! We were supposed to go see JOHN CARTER last weekend and our plans fell through. Definitely will do it this weekend! Your tour was epic! You've inspired me to do my own, much more modest, version. I haven't seen John Carter, but I love Golden Age SF. There's something classic about it. It was awesome to follow along for your blog tour. :) And that's a massive amount of blogging in just a couple weeks! I've heard tons of good things about John Carter so I'm exited to see this one but haven't had a chance yet. Thanks for the review and it's great that you figured out what people mean when you talk about your books hearkening back to the sci-fi golden age! What a compliment! DG, hope you enjoy my books! And yes, every fan needs to see the movie. Golden, you'll dig it. And I am now blogging exhausted. Congrats to Jeremy - Yay! Lucky dude! Alex - my heartfelt congratulations to you on your successful book tour, here in Bloggerville. All the best as you continue your journey toward the completion of CassaStorm. Wow, over 250 blogs in one day - you are a blog visiting champion, Ninja Alex. I feel honored to be among those 250 lucky bloggers. Looking forward to CassaStorm release party! And of course, I can't wait to see John Carter movie. The previews look awesome. Angela, I'll always visit you. Congrats, Alex, and well done. I imagine you're tired! I'm glad your blog tour went well, but it does sound like a crazy ton of work! Thanks for sharing your thoughts. And I can't wait to see John Carter! It looks so awesome. Yadin, it IS epic! Go enjoy. Shallee, it was a lot of work and I still don't feel like I did enough. I was going to pass on John Carter because the special effects in the commercials looked horrible, but if you say it was better on the big screen, then I'll give it a shot. Thanks for sharing what worked and what didn't regarding your blog tour. Getting your name and book out there is important, but you highlighted the potential for oversaturation and writer/follower fatigue that we all need to watch. Keep it going EF Hutton :). 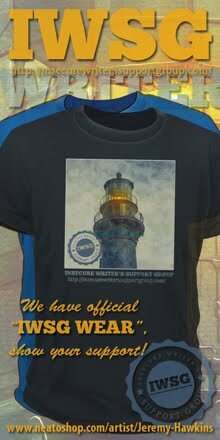 Sorry about missing the last IWSG. Will make the Apr post. Seriously epic tour, Alex; I hope it translated to many sales! And I'm glad to read that you liked John Carter -- we're going on Saturday. I bow to you on such an extensive blog tour, oh machine. That is a ton of blogs in one day. Not sure I could do the same. I can't believe how many blogs you get to in day. You really are amazing. And you rocked the blog tour! For someone who planned to write one book only, it's amazing to learn about number three. Good luck with the new project! Yes, from here all my support and encouragement for your new project, it sounds powerful, CassaStorm. Isis, no - the special effects are amazing. And thanks for your comments. I think the tour overwhelmed me. Milo, you will enjoy it! Sabrina, it wasn't easy. Go enjoy the movie. I haven't seen John Carter before but thanks for the review - it sounds awesome! And congratulations about the CassaFire and the blog tour...I saw your name all over the blogosphere that day. :) I don't know why I wasn't following you before (I thought I had been) but I officially am now! I have some awards for you on my blog. So glad the tour was a success and I haven't seen John Carter, but I want to now. May happen this weekend. I'm glad you had such an awesome launch day party and tour, even if it was super busy. Thanks again for letting me participate in your Blog Party for CassaFire. I'm looking forward to reading it. I downloaded "The Princess of Mars" just the other day, as I'm eager to read it again after so many years. This is the kind of sci-fi I love - fun and adventure. It's a great escape. Congratulations to Jeremy! Also, congratulations to making it through such an epic blog tour! You rocked it, but I don't blame you for being tuckered out. This type of thing is a learning experience, both for you and your readers, so I appreciate your honesty with it all. You think the title of John Carter has anything to do with people not seeing it? I was thinking it was some boring political movie until you first posted about it here, and then I had to seek it out. Too bad. It sounds like it deserves more of an audience. I forgot to congratulate Jeremy. Congratulations, Jeremy! Jay, I have several of those books on my iPad and I'm eager to reread them now. Shannon, the original title was John Carter of Mars and they shouldn't have changed it. Only those who've read the books know what it's about based on the title alone. Kela, I can only think in terms of one book at a time. Eve, I'm a super Ninja! I think you still are many books to write. Morgan, it helped that I can blog from work! Nicki, not a robot, promise. Wow is all I gots to say. I can't believe you were able to keep up with the blog tour AND co-hosting. You have what I think is the hardest job of all - keeper of the list. Yet you're just rockin' it as always. I'm still learning the way of the Ninja, but now I know why that's your monikor. You're invincible. Your Blog Party was MASSIVE and I'm so glad it worked in your favour. Fame and Fortune is headed yer way, my friend. Be prepared! Be inspired! Be Brilliant! I didn't have the time to follow your tour, Alex, but I do know you were everywhere. I hope all that coverage sold you many books! I've been on the fence about John Carter after seeing reviews. Now I'm rethinking it. May go see this week. I had dreams of winning that prize package! I had no doubt your writings would be a success.